I exited the 6 train at Spring Street and tried to remain calm, cool, and collected as the city heat hit me like a brick. I was dressed in all black and wearing heels, so it was hard to remain “cool,” to say the least. 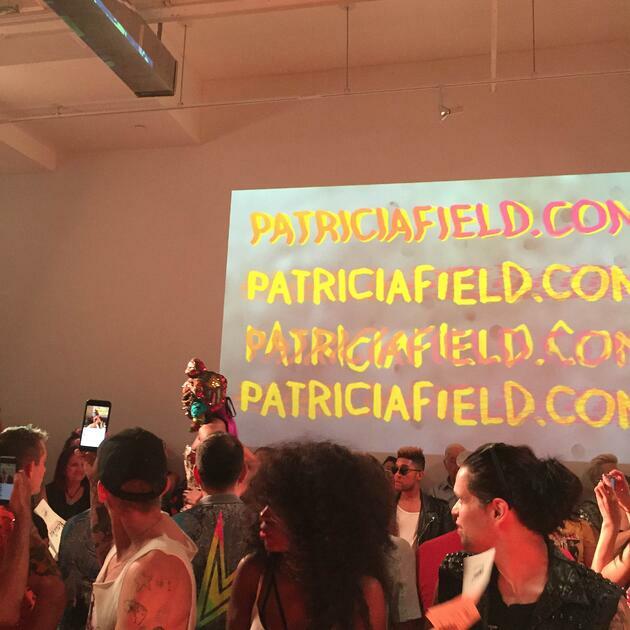 I followed Google Maps to the SoHo venue Howl!, where Patricia Field was debuting her spring/summer 2017 collection. As I got closer to the venue, I spotted the fashion chaos. The eclectic styles of the guests gave me the sense of a free-spirited environment where people are able to express their inner sense of style. Field never fails to be crazy and quirky in the best way possible. The show was more than a fashion show--it was performance. Field and her team made the small venue feel fun and spacious. 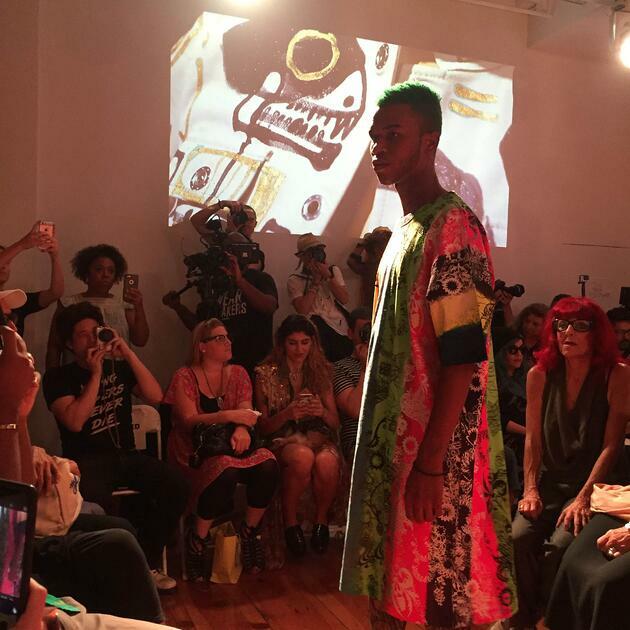 This wasn’t like any other show; there was a strong sense of community, an audience full of artists and creatives of all different inclinations. Press, models, and photographers were all laughing and chatting amongst themselves about how much they adored Field and her collection. The show started 40 minutes late, which is common in the fashion world, and commenced with red lights, loud music. and projections on the wall that were throwbacks to 90’s fashion styles. I felt like I was in a New York City club surrounded by fashion gurus. Every model had a different look, shape, size, and age. There was a wide range of looks for the collection and a strong sense of expression from the models and audience. The level of intimacy in the venue was comforting. Every time a model strutted down the small runway, the audience cheered and screamed. Photographers flashed their Nikons, and the music set the tone for Field's style. The audience was feeding off the energy as the music became louder. Field was all smiles from the front row. 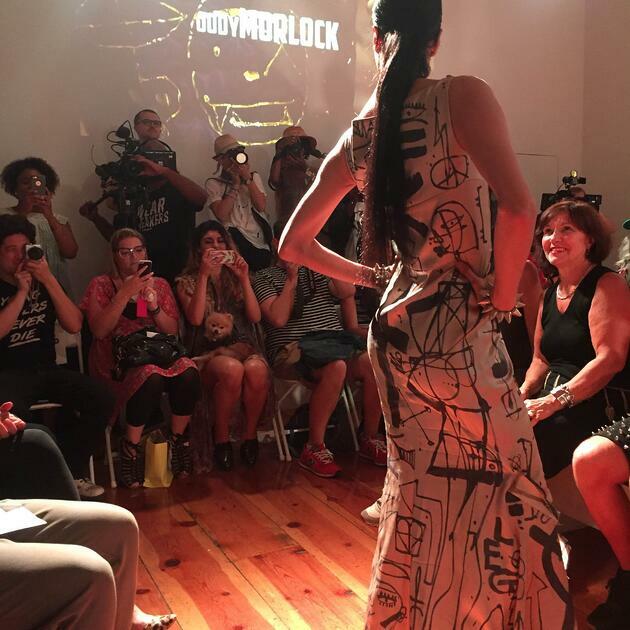 As the show came to a close, the models cheered and danced down the catwalk for the finale, and alongside them was no other than the star of the show, Patricia Field.